It’s 10:53. Students are rushing to the lunch line to beat the crowds. One student is going for a pizza slice, but before he makes it, he gets stopped. His backpack is on. 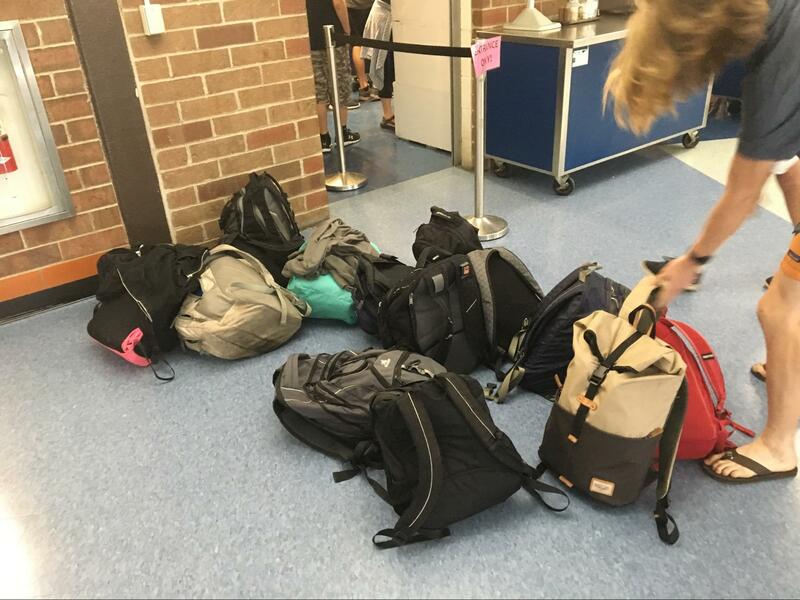 This year’s big change in the cafeteria is the backpack rule. You may not have your backpack on or with you through the lunch line. Now, at the end of the line sits a large pile of various student’s backpacks. Other students don’t like the new rule. “They should either have someone watching [the bags], or they should allow us to bring them in,” says senior Blaine Culver. Most students seem to think the rule is to prevent stealing. “It’s a higher risk for a backpack to get taken than for a burrito to get taken,” he says. The cafeteria staff gives a different reasoning. U-32 Food Director Brian Fischer, the man who made the rule, gave his reasoning. Since the change, the lunchroom has seen an increase in lunches by about 30 lunches on average a day. But while Brian may see the rule as useful, students are not convinced.